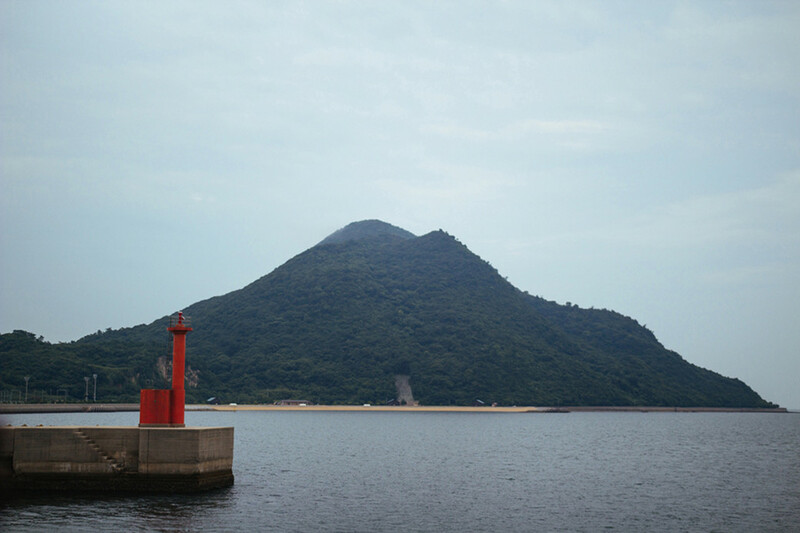 Himeshima, Japan, located just off of the southern island of Kyushu, is known for a few things. Tasty kuruma ebi, or tiger prawn, is one of them. Another is its work-sharing economy, an anomaly in this capitalistic Asian nation. 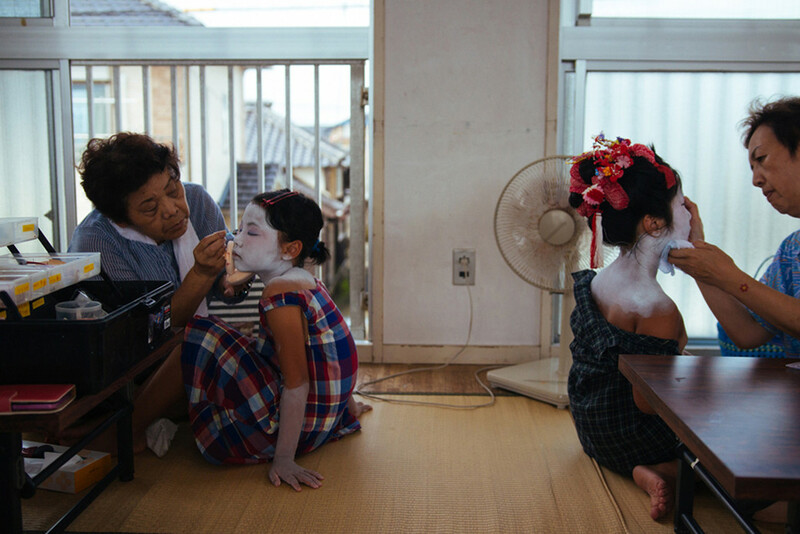 A third claim to fame is Himeshima’s idiosyncratic celebration of Obon, a summertime ritual that brings families together to commune with their ancestors. Simply to observe Obon is not distinctive. 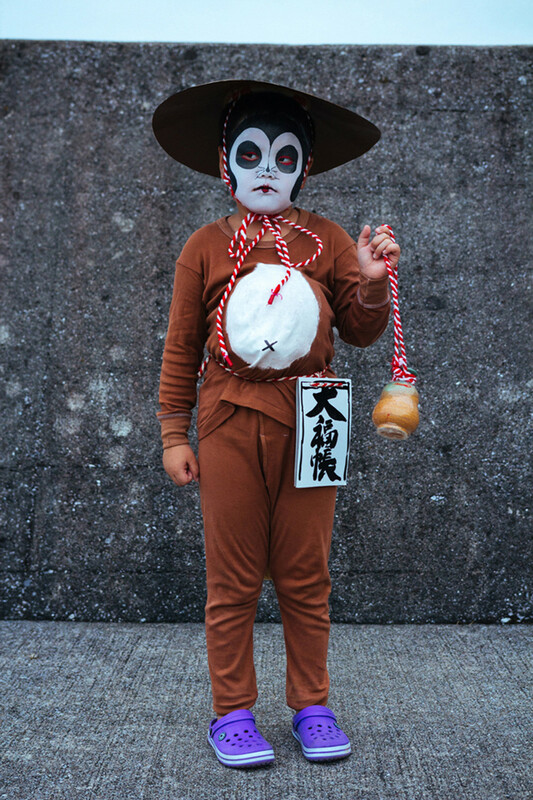 People do this every August in Japan, often returning to their towns of origin in order to commemorate dead relatives. Though not a national holiday, it is a time that many companies give off to their employees, and a popular moment for family reunions. 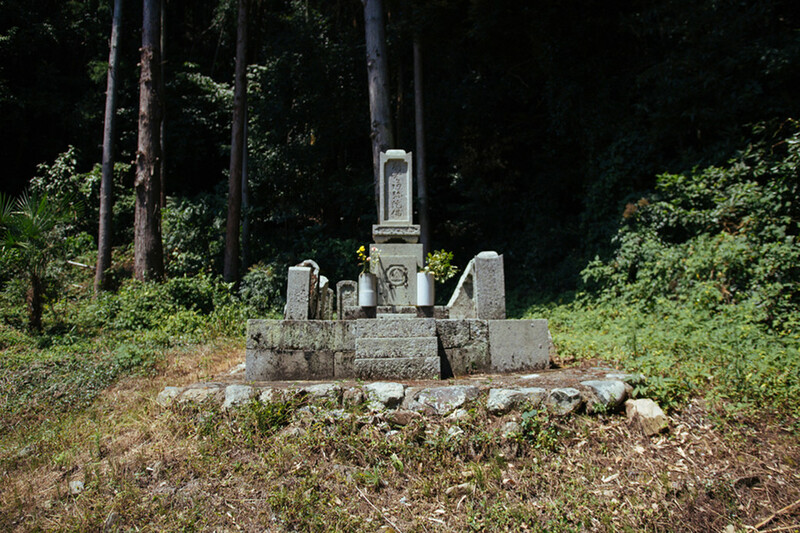 It is also a prime example of the tradition of ancestor worship, older than Buddhism, which still permeates Japanese culture today. 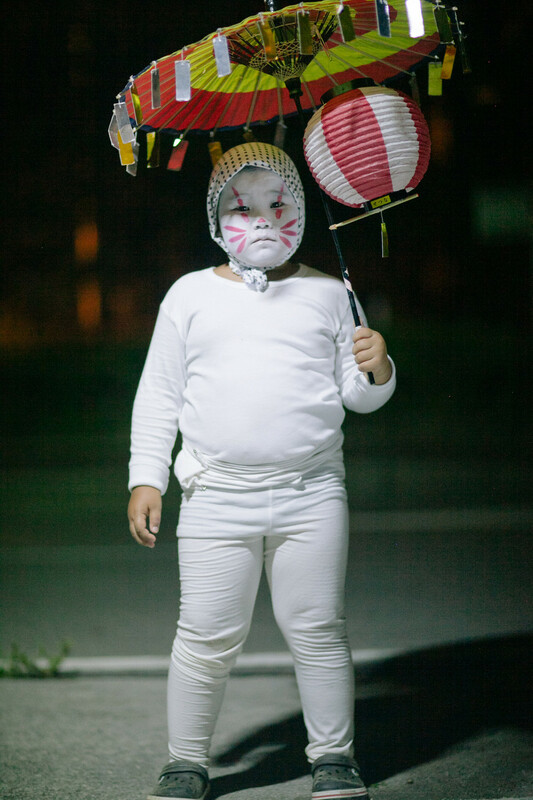 Himeshima’s celebration is known for the transformations that it calls for in children. 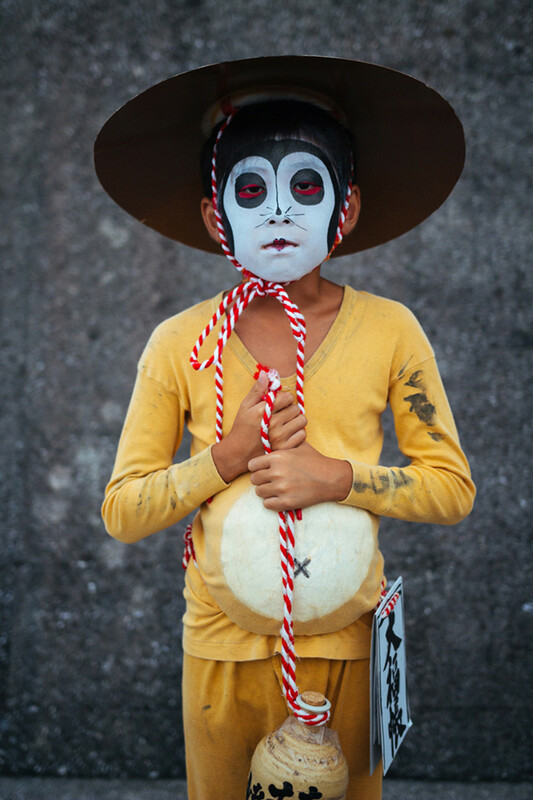 Boys come out costumed as foxes and raccoons, girls as princesses. 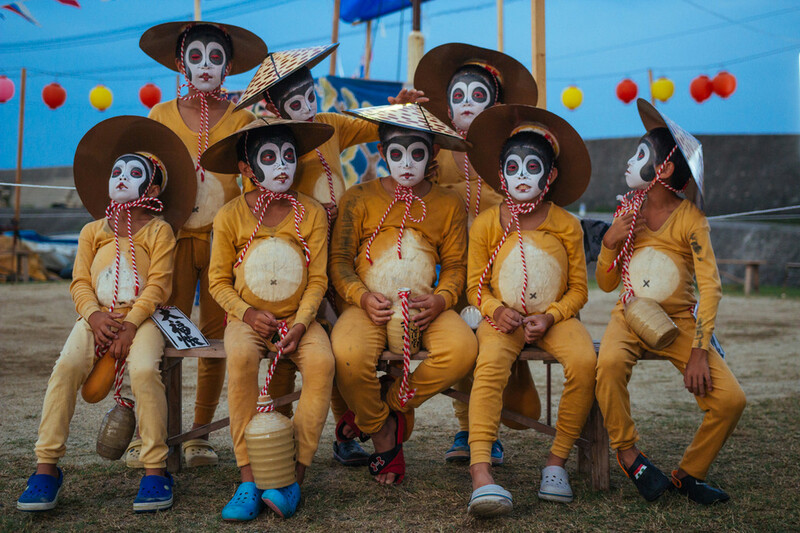 (The literal translation of Himeshima is “princess island.”) They take to the streets in the evening, where to the beat of a drum they dance in unison. Unsure at first, the children are cheered along by the grownups in the audience. 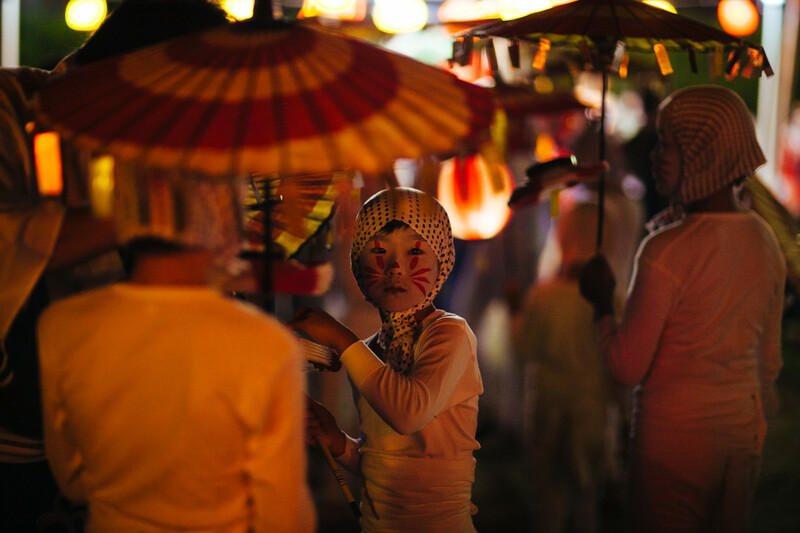 The biggest applause of all is reserved for the boys—who carry parasols and lanterns—and their slow, circular kitsune-odori, or fox dance. 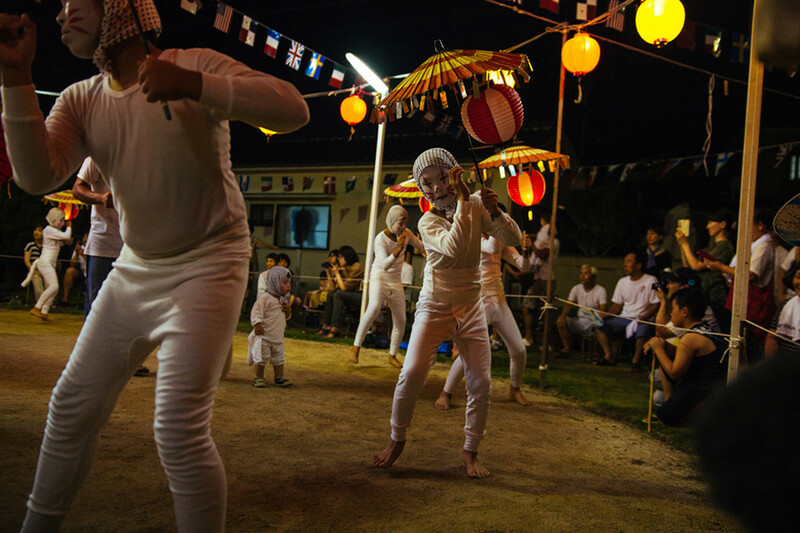 Himeshima’s bon-odori, or Obon dance festival, dates back to the Asakura period, in the 15th century. 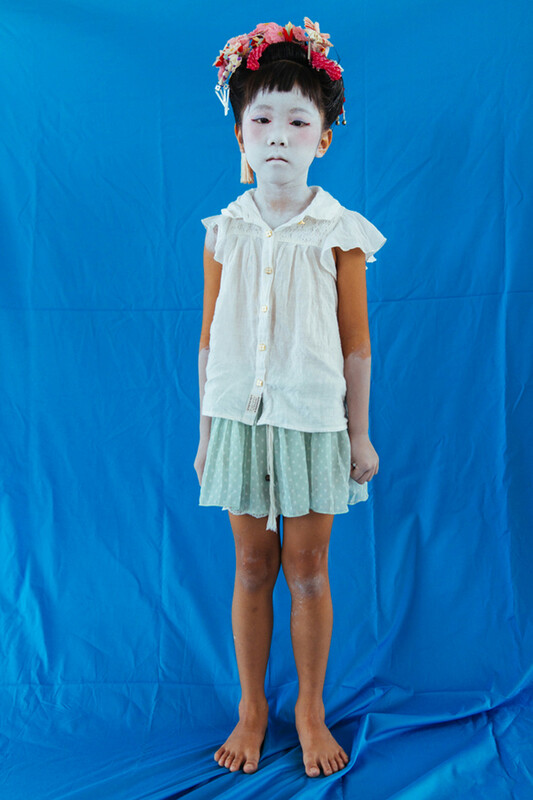 Earlier in the day, when the August heat makes dancing impossible, these children might visit a graveyard with their parents to commune with deceased relatives in quieter, more reflective fashion. The ancestors, it is safe to say, outnumber the children. Himeshima’s population (around 2,000) has been decreasing for some time, as younger residents leave to find work and build lives elsewhere. 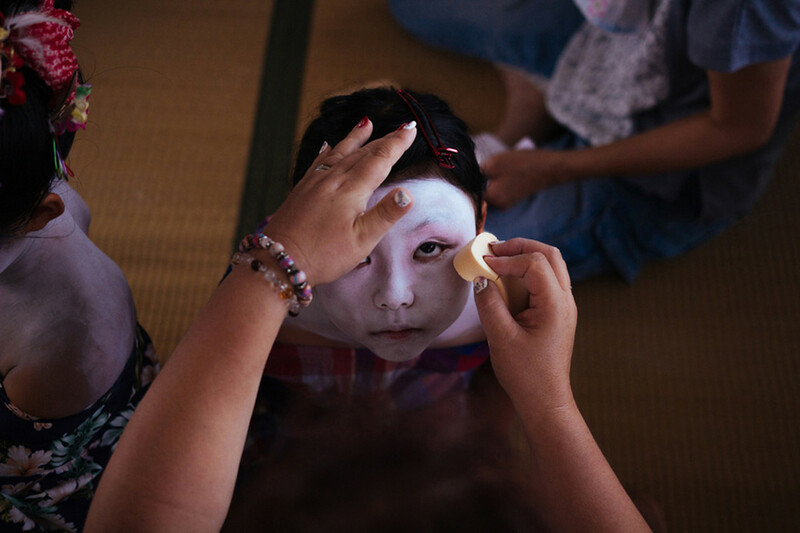 Its annual bon-odori features some 700 performers of all ages, many of whom are only visiting for the occasion, which temporarily quadruples the number of people on the island. But to mourn the ephemerality of this infusion of Obon energy would defeat its purpose. Tradition calls for the atmosphere to be joyous, so that the returning dead may feel welcome among the living.